4.5 stars. I liked all of the facts, because some are very unexpected. 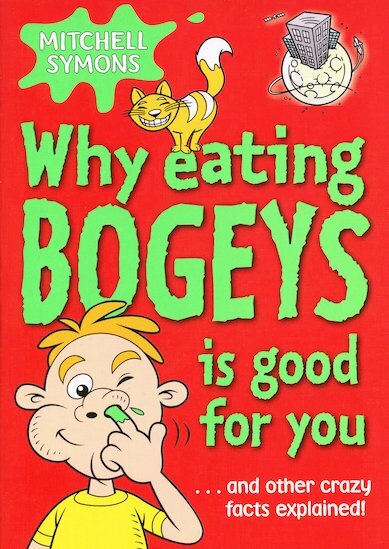 I learnt a lot of facts like if u eat your bogeys your going to be much healthier and happier and have much more fun.AWESOME!!!!!!!!!!!!!!!!!!!!! It was a good book not one of the best facts i read some of the pictures were a bit silly but some people like silly but mot fo the facts were very cool! and i would recomend it but maybe for the age beetwen 7-10 but when you get to 13 it is a bit younjg and silly but i did very much enjoy it!